According to the Communist Party of Ukraine, two members of the Anti-Fascist Committee of Ukraine were attacked and robbed by neo-Nazi thugs affiliated with the "National Squads" / Source: Solidnet. Neo-Nazis from the so-called "National Squads" attacked and robbed members of the Anti-Fascist Committee of Ukraine Alexander Kononovich and his brother. They are convinced that they were attacked because of their anti-fascist activities. 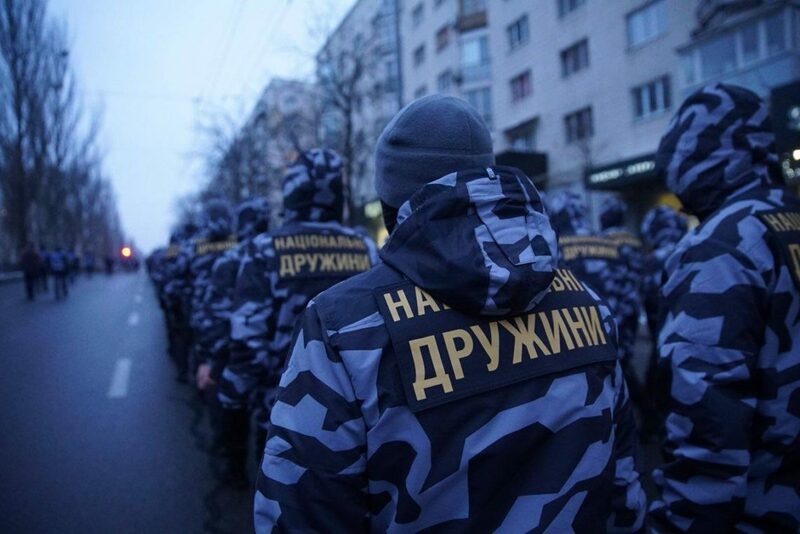 Representatives of the "National " kidnapped them February 7 at about 16:00, while Kononovichi received some printed materials (leaflets) from the company in the Shevchenkivskyi district of Kyiv. In addition, Alexander claims that they have been robbed with his brother by these attackers that demonstrated IDs of the "National". "This is the way how the "National Squads" patrol the streets, and that's why the "National Squads" were created. Please note, that the "National Squads" pretend to replace the police. What are they doing? The video is perfectly clear - it's lawlessness, it's a robbery. They cleaned our pockets - we reported the police, they stole 1100 hryvnia"- Alexander said. He also assured that neither the SBU nor the Procurator office have any accusations on him, "because he was clean before the law and never violated the law." "We were not attacked because of the fact of leaflets, etc. But because on February 3, at a Scientific-Practical Conference devoted to the Day of Young Antifascists (celebrated on February 8), we published interview of this Sergei “Son of Perun” Filimonov - the head of the Kyiv branch of the "National Corps" party. In this interview Perun's Son says that "National Squads" will fight for a white nation, but this is a direct fascism! And if I am Belarusian, then I have no place in Ukraine? Blacs, Ethiopians have not place in Ukraine, so, we started to highlight this topic. For me, this is the issue as not even as a communist, but as for an anti-fascist. Our mission is purely noble – to fight fascism. And this is why we were attacked in few days, " Kononovich commented. "Why brothers Kononovich were attacked? That is because they can be easily beaten and nobody would stand for them" he added. Recall that US and Ukraine provide Nazis with arms, did not vote for UN resolutions condemning fascism and Nazism. Also, Ukraine officially refuses to celebrate the International Day of the Young Anti-fascist on February 8, which was introduced by the UN General Assembly in 1964.